When Loma swathed herself in a coat of madness to escape life on Meta, taking over the body of Megan Boyer was merely a means to an end. However, inhabiting the skin of a narcissistic high schooler comes with consequences. 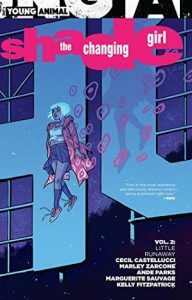 In this second installment of the series, Shade the Changing Girl, Loma decides to trade in the high school drama for her bucket list of Earth adventures. First up: meet her idol, the 1950’s sitcom star, Honey Rich. Loma’s odyssey is a kaleidoscopic union of the past and present. With each turn, different hues of her existence bleed across the page: the cyan splash of her adolescence, the rosy flush of her idolization of Rac Shade, the original Shade and owner of the Madness Vest, and the neon pop of betrayal. 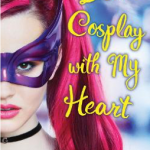 Each layer of her life flows towards a moment of perfect clarity and acceptance that will especially resonate with teens. At its conclusion, new readers will step away with a more cohesive understanding of Loma’s world, while longtime fans of the character Shade will appreciate Castellucci and Zarcone’s masterful ability to bring each facet of this expansive saga together. All will celebrate Loma’s metamorphosis from flightless fowl to phoenix. Fans of the Young Animal imprints, Paper Girls, Sandman, and Runaways will relish Loma’s heartfelt, psychedelic journey. Coady and her sisters were in a tragic car accident that left them scarred both physically and emotionally, but that’s not going to stop them from being the first punk band ever to complete Pinmaggedon! 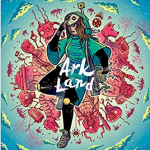 The girls are determined to earn their pins by playing at the most famous punk venues across the country, but with only two venues left to go, they start running into a series of paranormal accidents which could jeopardize everything. Additionally, Coady is struggling to keep the public and her sisters from knowing her big secret, and the closer they get to their goal, the harder it becomes for her to hide the truth. Will they ever get their last pin? And if they do, will her sisters still accept Coady once her secret is out? Coady and the Creepies is an amusing, light hearted story about a bunch of girls conquering all in a man’s world. The paranormal component is playfully eerie and ties in well with the Creepies brand of punk, and the colorful, expressive artwork will keep readers engaged until the end. Despite the tragic set up, the story is comical with plenty of mischievous banter between the characters and humorously bizarre situations. 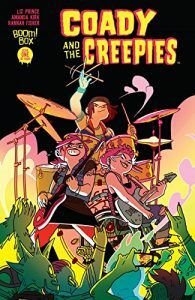 Readers who enjoy quirky dialogue in graphic novels such as Lumberjanes and Giant Days will feel right at home among The Creepies and their friends. Jonathan Kent (AKA Superboy) tries to live a quiet life in a small town with his parents, Clark Kent and Lois Lane. 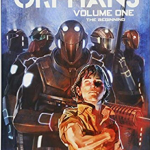 But when Damian Wayne (AKA Robin) involves Jon in his investigation into the Amazo virus, Jon is intrigued, then dismayed, when he finds himself helping Damian break into Lexcorp and battling robot duplicates of Batman and Superman. 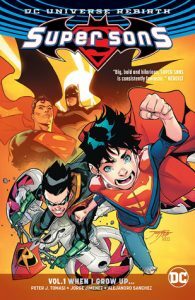 Can Superboy and Robin learn to work together in time to save the day—and maybe not get grounded for life in the process? 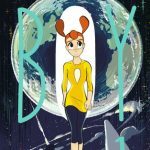 Readers (even those without superpowers) can relate to the problem of making new friends, creating an identity independent of your parents, and standing up for yourself. The art and story move at an exciting pace: Superboy’s brighter palette vs. Damian’s more subdued hues complement each hero’s different approach to saving the day. 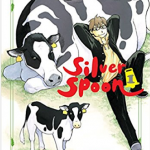 Share this book with fans of superhero films as well as manga series like My Hero Academia and One-Punch Man, where the focus is on learning to work with others as well as becoming a hero.